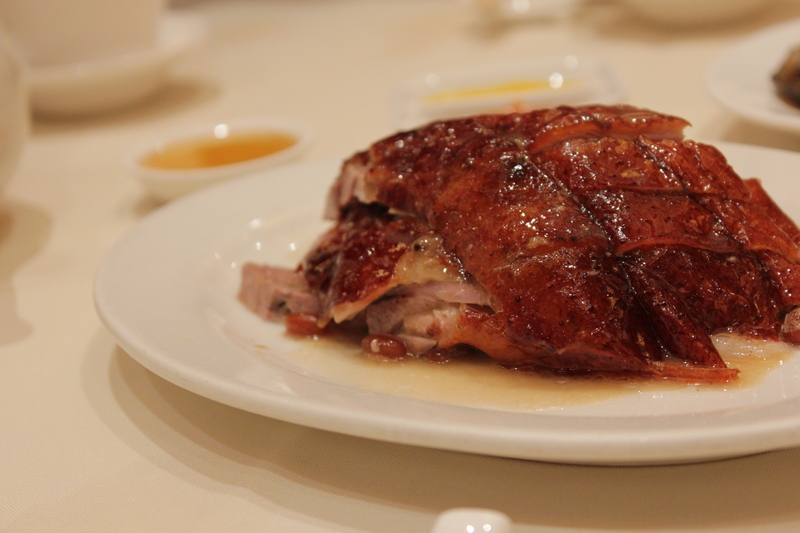 Located on wellington street, Yung kee is famous for their roast duck in Hong Kong. 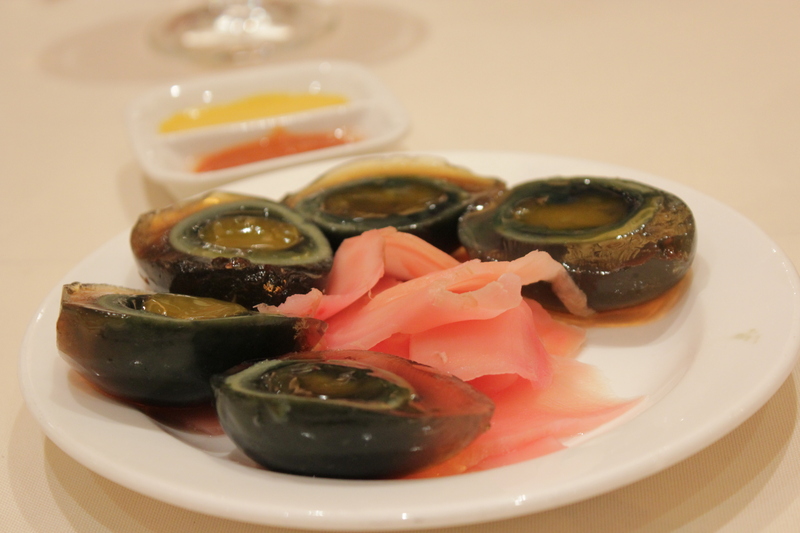 For appetizers, century eggs were served and it was a huge hit amongst the adults. But i just can’t get past the fact that they were once drenched in ammonia ( or worse, horse pee if it’s the traditional method) so i didn’t dare to try it at all! 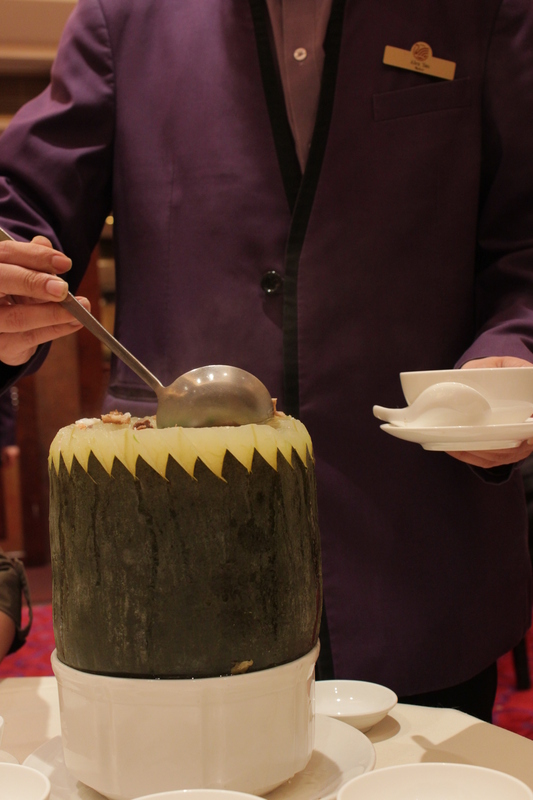 I was very impressed by the meticulous presentation of the otherwise ubiquitous winter melon soup. 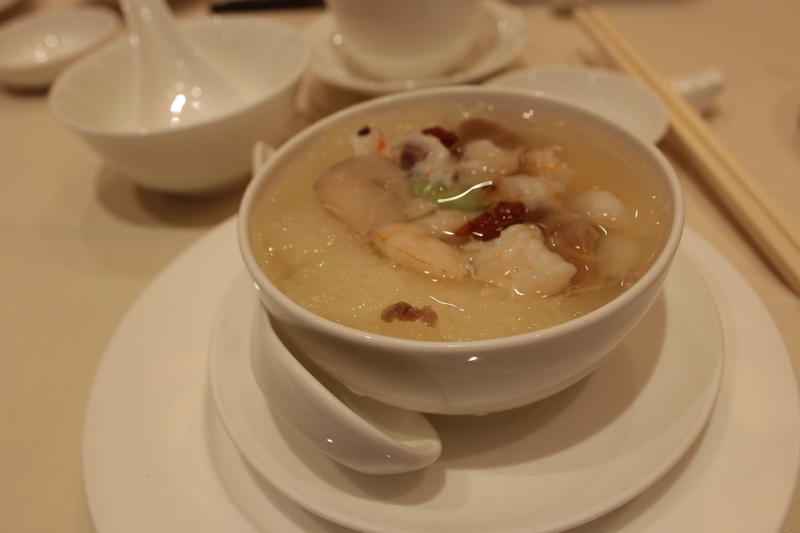 The soup was geneously laden with a selection of ingredients such as slices of meat and scallops. Most importantly, the flavour was wholesome and the soft wintermelon chunks were extremely satisfying for me. However, it lacked the delicious aroma of charcoal boiled soup that I am so used to getting at home. The much anticipated roast duck was a little of a disappointment for me. The meat was in my opinion not moist enough to my liking. In fact, the roast ducks in London taste much better to me because it’s fattier, making the meat more moist and palatable. Dad says that ducks in london are fatter because of the cold weather so the roast duck in london is incredibly fatty! 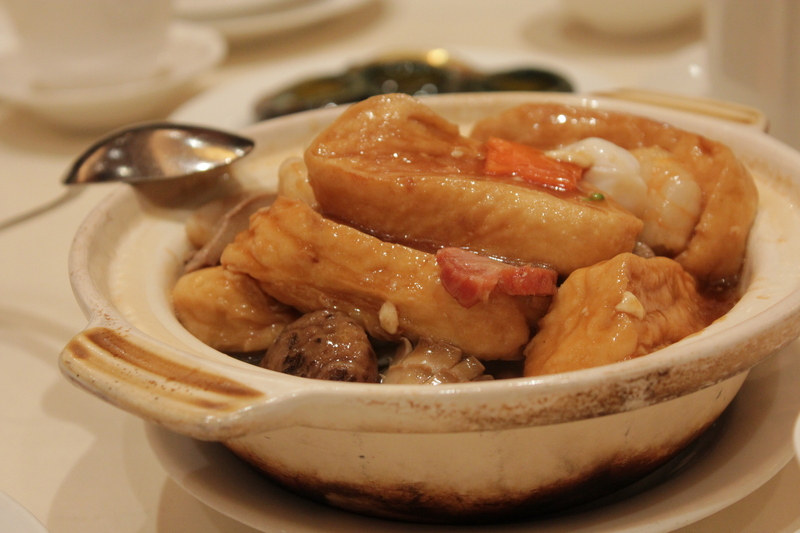 The tofu claypot dish had many different seafood ingredients incorporated but this tofu did not have any soybean flavour that I was looking forward to. I never had fresh abalone that was not from a can before. The baby abalones tasted a little rough to me but I enjoyed the slight chewiness that was enough to satisfy without requiring rigorous munching. This fish was also brought out alive for inspection. 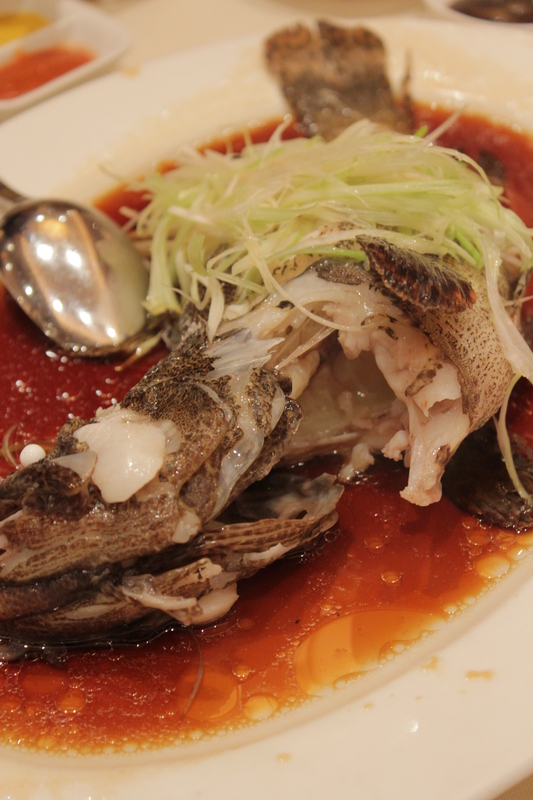 But the steamed fish fell short of expectations as the flesh was not firm and sweet enough. 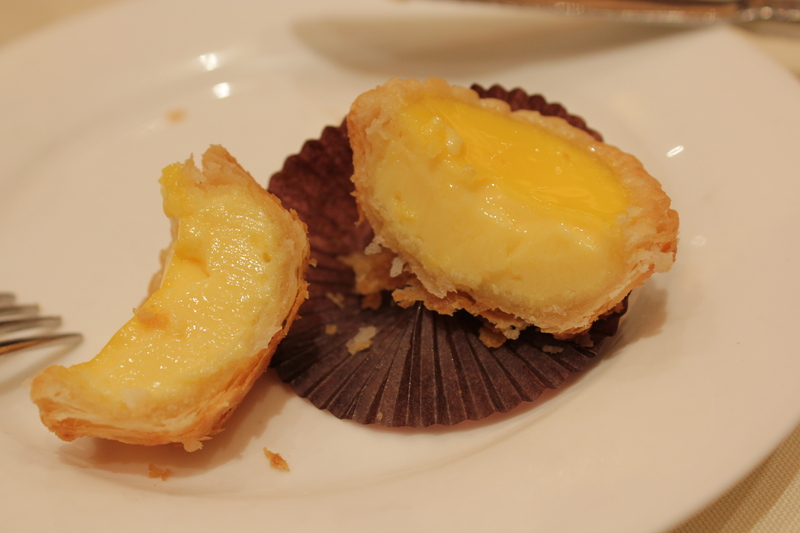 To round up the meal, we got a couple of egg tarts to share. The warm flaky pastry encased an eggy filling that was not too cloyingly sweet. Lovely. 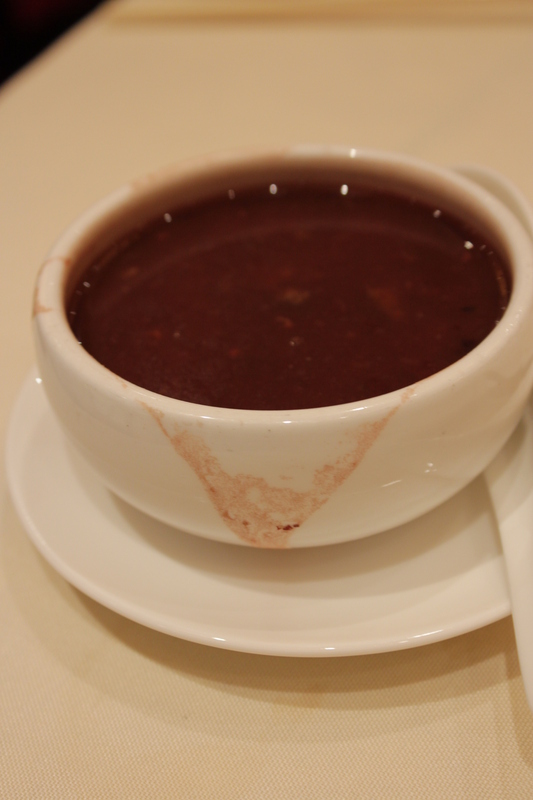 Dad’s red bean soup seemed pretty good too because there were no complaints from him. Then again, he was also pretty engrossed talking to the family friends that we had not met for a long while!